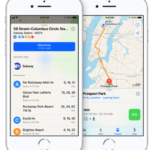 Microsoft has today released the beta preview of its Edge browser for iOS, a browser designed to make it easy to move what you’re working on between your iPhone, iPad and Windows 10 PC. The iOS version of Microsoft Edge is available starting today in preview, while Microsoft Edge for Android will be available soon in preview as well. On iOS, the Edge browser makes use of the WebKit browser engine from Safari, which is essentially unavoidable since Apple’s rules do not allow the development of third-party browser engines. Syncing is also limited to favorites and items on the reading list. Synced tabs and browser history are being worked on, but those will take longer to arrive. What makes Microsoft Edge really stand out is the ability to continue on your PC, which enables you to immediately open the page you’re looking at right on your PC—or save it to work on late. 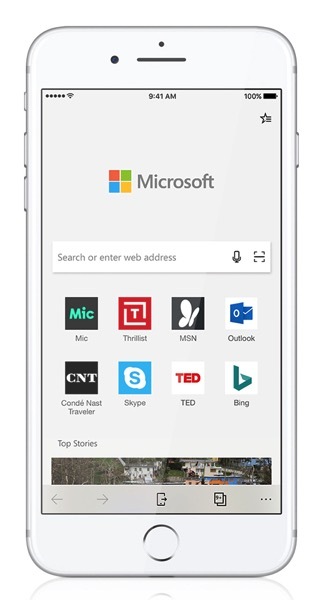 Initially Microsoft Edge for iOS and Android will launch only in US-English, but we’ll ramp to other countries/languages as we expand the preview. And some features—like roaming passwords and support for iPads/Android tablets—aren’t available at preview launch but will come in the future. iOS users can test the Microsoft Edge preview app via Apple TestFlight by signing up here.